Spiral Q is honored to present recent work by James Dupree this April at Art on the Avenue Gallery. 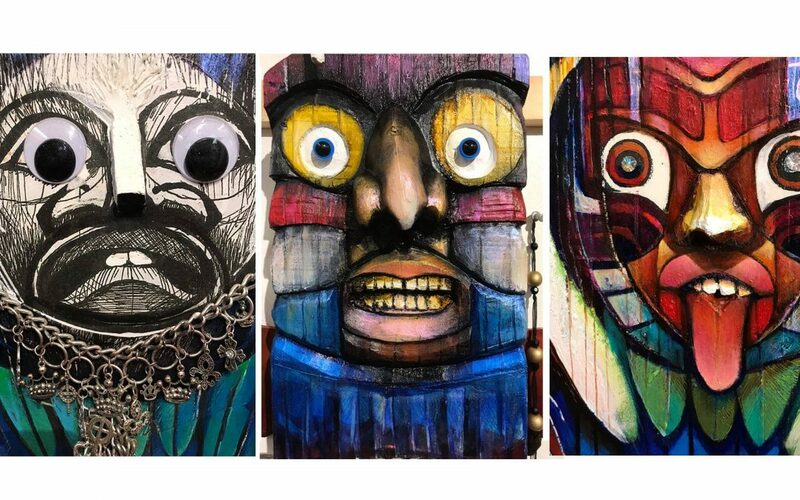 These drawings, paintings, and mixed media pieces represent Dupree’s work over the past six months; an exploration of the connections between the modern African American and Native American cultures that began with an artistic exploration of culture along Lancaster Avenue. West Philly’s own Black Picasso, Dupree’s works have been presented in galleries and public spaces throughout Philadelphia and permanently displayed at the African American Museum in Philadelphia, the Philadelphia Art Museum, the Pennsylvania Academy of Fine Arts, University of Pennsylvania, National Museum Cardiff Wales, and the Charlottenborg Museum in Copenhagen Denmark and many more prestigious organizations and private and corporate collections.